Preparing for the Holiday season can be stressful, but with these house cleaning hacks and Holiday preparation tips, you won’t have to feel overwhelmed about preparing your house for guests. When a lot of people are coming over to your house, even for a short period of time, it’s always important to have extra folding chairs available. You also don’t want to run out of serving platters (what holiday doesn’t revolve around eating? ), so make sure that you have multiple large serving platters as well. A cluttered fridge filled with serving dishes, but also old, leftover food can overwhelm you when you open the fridge to grab the dishes and ingredients for that night’s dinner. Before guests arrive, clean out old food, organize containers and wipe down shelves for a clean fridge and a sane mind. Everyone has that relative who does the dust check, so be prepared to impress him or her with your dustless house. Dust before you vacuum so that the dust particles that fall into the carpet will then be cleaned up by your vacuum. Open the windows to let a breeze in and have your house smell fresh. Even in the winter, opening a window just for a few minutes will make your house feel less stuffy. Lighting a candle or spraying air freshener (go with a scent that fits the season) gives your home that wonderful and welcoming “just cleaned” smell. There’s an array of cleaning and chores that could get done, but if you are in a time crunch, focus on the main parts of the house that will be used and seen by your guests. Wipe down your bathroom, don’t have dishes lying around and keep piles of stuff out of sight. Cat and dog hair get literally everywhere- from the couch to the baseboards! Get rid of animal fur lying around by putting on a damp rubber glove and rubbing it across chairs, etc. The fur will be able to stick to the glove until you rinse it off. If you have kids, they most likely have piles of their belongings scattered around the house. Have them clean up these piles and put their belongings back where they belong. Chores like dusting and dishes are easy and simple to understand for both teens and younger children! Don’t try to take on house cleaning by yourself if there are able bodied kids around to help! Use a window cleaning spray and paper towels or clean rags to thoroughly clean the windows and mirrors in your house. When the sun is shining through your windows or the light shines directly on a mirror, it is obvious when they are covered in fingerprints, dust, etc. Guests will be very impressed with your spotless windows and mirrors! Do you have a small tear in your couch, but you don’t have time to fix it before the guests start knocking on your door? Don’t worry- you can easily use a decorative pillow to cover up a tear! Also, if there’s a stain on your carpet, you can cover it with a plant, rug, Christmas Tree, a basket filled with books, etc. Avoid the awkward situation when the toilet roll is out, and your guest is digging around in your bathroom, looking for an extra roll of toilet paper. You can bypass this situation by setting out multiple extra toilet rolls in plain sight from the toilet. When you have a lot of people staying over, set out more than one hand towel because just one towel with get soaking wet fast. Always have extra soap and lotion on hand as well and you will be set to go! 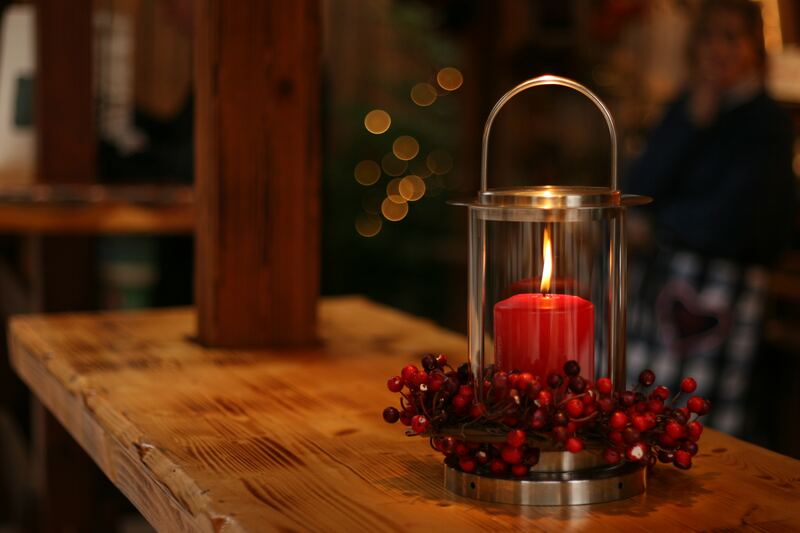 With these tips, your house will be all ready for the Holiday festivities and guests. You can be free to enjoy yourself without having to worry about things like hoping your guests can find toilet paper if they run out or if your strict aunt will judge you and spread gossip about your extremely dusty surfaces! At Chuba, our dedication to service, attention to detail and use of top-quality products ensures that we will be your trusted partner throughout the renovation process. We are currently taking projects for 2018- contact us for an estimate! Be sure to follow us on Facebook, Pinterest, and Houzz to see our quality project examples!